We are an Aussie couple who are the proud owners of a South African registered vehicle so most of this information is relevant for 1) non-citizens of the African continent, 2) cars registered in SADC or in countries that have a bilateral agreement with the destination country and 3) everyone, since third-party insurance is compulsory everywhere. third-party insurance for each country. Overland travellers must keep in mind that Africa is a continent of exceptions. Rules and regulations are not always applied universally; therefore different people may have different experiences. What follows is a summary of what we experienced on our 2015 overland trip in Southern and East Africa. In a nutshell we got our tourist visas at the border in all countries except for Rwanda and Mozambique who we heard enforce their no-visa-on-arrival policy (editor: we got our Rwanda visas at the border between Uganda and Rwanda in Sept 2015). We decided to get TIPs for our car in each country we visited since foreign car owners have to pay a 100% deposit on their vehicle to purchase a Carnet if the car is registered in a country different to that of their passport. Travelling without a Carnet is much easier than we thought although Kenya, Ethiopia and Egypt officially don’t allow foreign vehicles without a Carnet. Having said that, Kenya allowed us in without a Carnet but then charged a TIP fee when we exited. Tanzania and Uganda gave reduced TIP fees just because our car was SADC registered but one Tanzania border crossing checked our SADC residency too. All costs are in the destination country’s currency unless otherwise noted. Mozambi-que ZAR750 for 1 month. Free if you get third party insurance at the border. ZAR220 for 1 month. Tourist visas must be obtained before entering Mozambique. COMESA insurance not valid in Mozambique. All fees are payable in South African Rand if you enter in the south. Malawi Free in mid 2015. How-ever, we have heard there are now fees and that it may not be availa-ble at border posts. MWK 5000 for a TIP. MWK15,000 for local insurance incl road tax or COMESA insurance. ATM at the Zobue border post, no problems withdrawing cash before paying TIP and insurance. The insurance prices vary from company to company. Tanzania USD50 for 3 months. TIP is free for SADC residents but there is still road tax of US$25. Non-African residents have a TIP fee of USD$150 but this can be waived if the car is returning to the country of registra-tion. USD$80 for 3 months of COMESA insurance. Alternatively buy TZN insurance at Tsh100,000 for 3 months (minimum period). Everyone still has to pay road tax of US$25 per month. USD is a must for tourist visas and preferred for everything else. 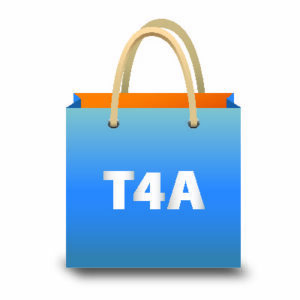 Price of COMESA is negotiable while the price of Tanzanian third party insurance is set by the government. for 2 weeks (for any resident). No option for a longer TIP at the border. Not part of the entry process but at the exit process they ask for COMESA. No idea if you can get local third-party at the border. A Tourist Visa for Rwanda as well as the East African Tourist Visa can be nabbed online. (editor: we battled with the online procedure) If you don’t have Rwandan francs for the TIP they accept USD but at a steep rate. Uganda USD100 for 3 months East Africa Tourist Visa OR USD50 for Uganda visa. 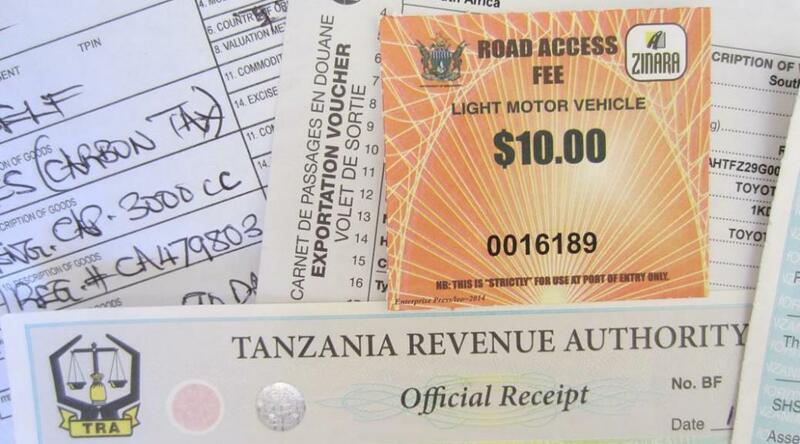 TIP and road tax costs Ush71, 000 for 1 month for SADC and East African residents. We had to purchase a new COMESA in Uganda and it was much cheaper than in Tanzania or Malawi (Ush240,000 for 3 months). Don’t quote me but if you are not a SADC resident I think the TIP is only marginally higher, around USD25. Kenya East Africa Tourist Visa OR USD50 for a Kenya visa. Officially all foreign cars need a Carnet to enter. However, East African cars can get a 1 week TIP for free and a TIP for one month for USD40. COMESA As different customs officials sometimes follow different rules we were let in at the Malaba post free of charge despite declaring we wanted to stay for two weeks. However, we had to pay USD40 when we exited. The TIP was charged in Kenyan Shillings at an unfavourable rate. Ethiopia USD$50 for one month, $70 for three months. Carnet required COMESA, no checks at the border. We flew into Ethiopia as a Carnet is required for the car and tourist visas are only obtainable at the airport or in your home country. For those who apply in South Africa a multiple entry visa valid for six months costs R960. Namibia Citizens of Com-mon-wealth coun-tries don’t need a visa. Cross Border Charge of R242. Third party is included in the Cross Border Charge. You can pay in South African rand or in Namibian dollars. Botswana Citizens of Com-mon-wealth coun-tries don’t need a visa. Border charges (TIP plus road tax) add up to BWP100. BWP50 for 3 months. Fees are payable in pula. Zimbabwe USD50 for one month. Border charges (Road access fee and carbon tax amount to USD25. USD30 for local insurance OR COMESA insurance. There is a joint Zim/Zambia tourist visa, the KAZA UniVisa, obtainable on arrival and costs USD50 for one month but we haven’t met anyone who succeeded in obtaining this. Remember to pack your car’s registration papers and plenty of certified copies – some officials will want to keep a copy. Take as much USD as you feel comfortable carrying. Some border posts will only take USD even if another post at the same country will take local currency. The exchange rates at border crossings are very negotiable and sometimes we were offered better rates than the banks and bureaus were offering. Our South African vehicle registration paper (called a logbook in all Eastern African countries) didn’t show the right number plates and the only way we got our TIPs was by having our South African license papers at hand (the ones with the license discs). Whatever car you have, definitely check you have at least one official paper that has matching number plates. Pack your yellow fever certificate. As for the tourist visas, please check with your embassy for the latest costs and procedures. In the last few months alone tourist visas went up for Malawi, Rwanda, Uganda and Kenya! Check the Automobile Association website for what stickers, warning triangles and other safety equipment is required for your car to be legal (and not fined) in each country. Hi All, just wanted to find out want is the cost for the insurance at the Zambia border.. we are driving next week and also what else do we have to pay for? Vehicle insurance is quite a problem on an extended Africa trip! As long-standing clients of Outsurance we managed to get cover from them, however, only after speaking to one of their actuaries. We couldn’t find any other insurer who was willing to insure us out of Southern Africa at the time. Yes, most definitely. I shall notify all people who expressed an interest in the trip once we have details on price, etc.